Chris Pratt sports some shiny new headgear. Marvel is keeping the flow of Guardians of the Galaxy content steady, releasing two new stills of Chris Pratt as Peter Quill, a.k.a. Star-Lord. 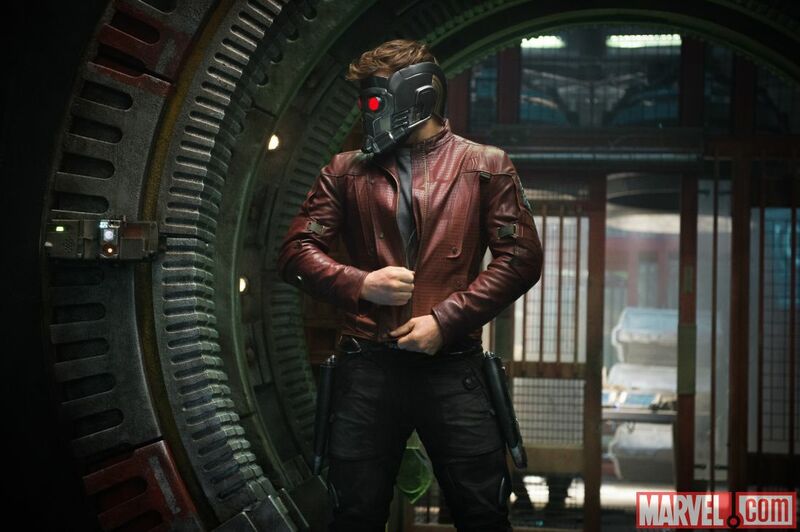 The two new stills give a better look at Star-Lord's battle helmet, a staple of his costume in the comics. The helmet and Star-Lord's rocket boots debuted in an extended clip from MTV, and the stills provide a much better look at the iconic headgear. The battle helmet improves Star-Lord's vision, analyzes strategies, and regulates oxygen when in space. The battle helmet and red jacket appear on the cover of the second issue of The Legendary Star-Lord, a new title from Marvel comics set to launch in July. "The book is going to be Peter's adventures away from the Guardians," says Sam Humphries, who will write the series. "I like to call him the original outer-space scoundrel -- he actually pre-dates Han Solo. He likes to fight, he likes to flirt, he flies by the seat of his pants." Rocket Raccoon is also getting his own comic series, starting in July. Guardians of the Galaxy has drawn many comparisons to fan-favorite space western Firefly, and the costuming choices made for Star-Lord certainly don't discourage comparing Quill to Captain Malcolm Reynolds. In the comics, Star-Lord wears a Kree-issued battle suit, a military-style outfit that boasts heat dampening for espionage work. In the movie, a ruddy leather jacket and black pants replace that armor. The jacket is cut shorter than Reynold's iconic brown duster, but Quill's look is certain to draw references to Captain Tight Pants. Nathan Fillion, who played Firefly's Malcolm Reynolds, was a fan favorite for the part of Peter Quill. Fillion has even teased a possible cameo in Guardians of the Galaxy. 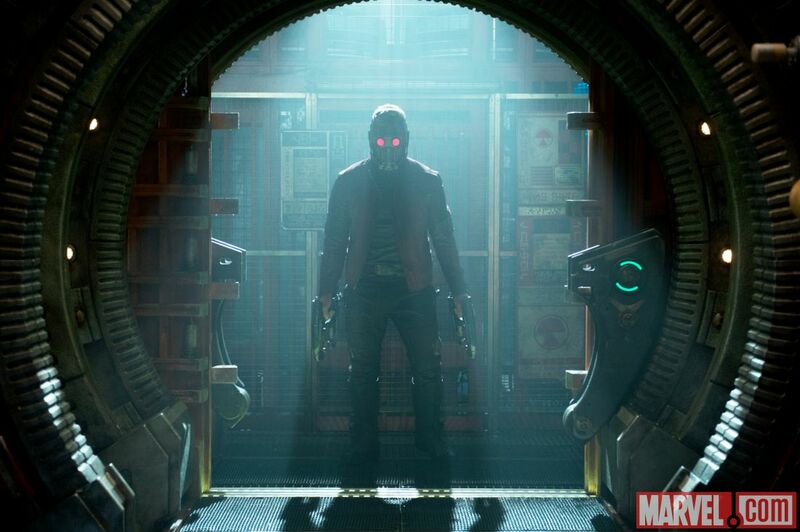 Guardians of the Galaxy releases August 1, 2014 in the United States.